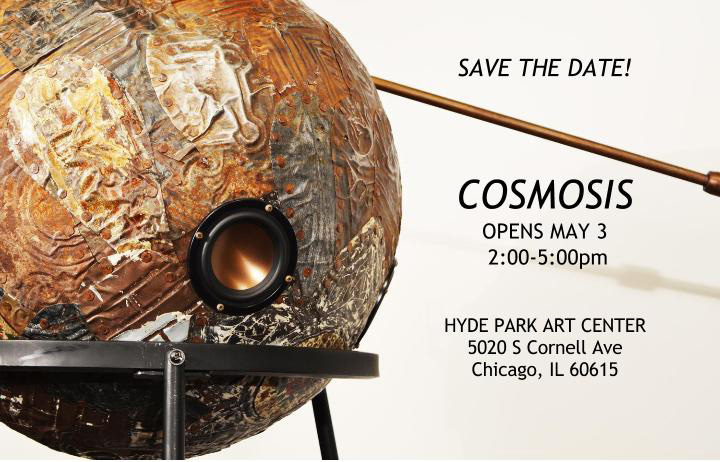 SAVE THE DATE for COSMOSIS! Jefferson Pinder; Funknik; found materials, speakers, and electrical components, 2013. Courtesy of the artist. Curated by Steven L. Bridges, Cosmosis is an exhibition that investigates how the cosmos and the scientific fields of physics and cosmology continue to inspire artistic production, exerting great influence on our understanding of the universe—and our place therein.